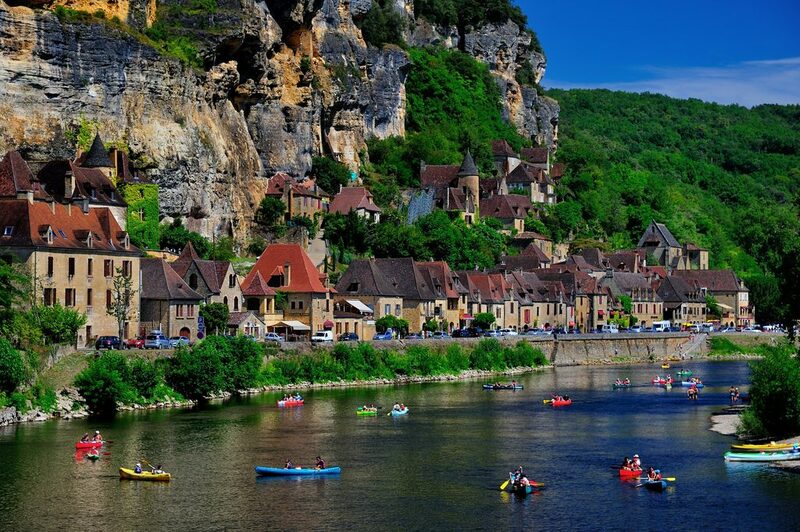 Covering an area of 9060km, the Dordogne is France’s third largest region. 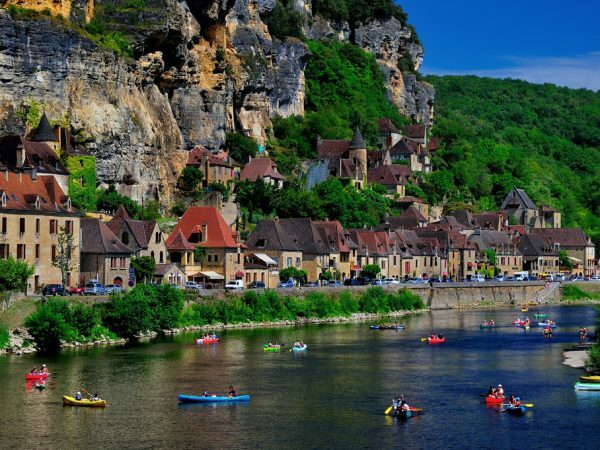 Situated in Aquitaine between the Loire Valley and the Pyrenees it is named after the great Dordogne River that runs through it. 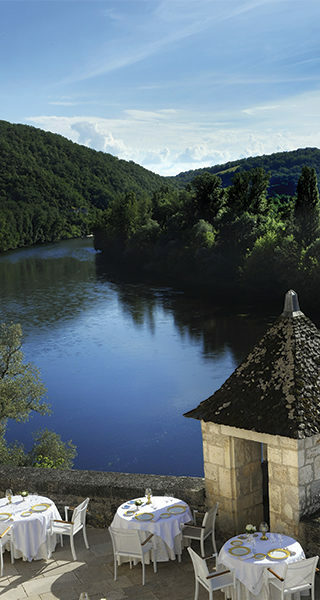 The Dordogne is nicknamed ‘the land of a thousand and one castles’ due to its superbly restored chateaux that are scattered across the region, dating from the Middle Ages to Renaissance and Classical styles. These buildings have spanned centuries, and history’s upheavals and anecdotes are written into their bricks and mortar. 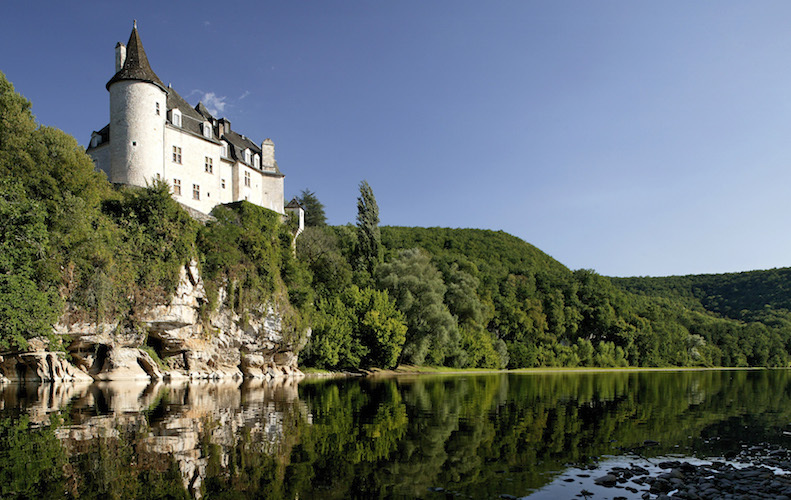 One of these superb castles is Château de la Treyne, now a boutique hotel and a member of Relais & Châteaux, set overlooking the Dordogne Valley. Driving from Le Vieux Logis through the Dordogne Valley, Eisbär and I stopped off first at the historical Château de Baynac in Beynac-et-Cazenac, built in the 12th century by the barons of Beynac. 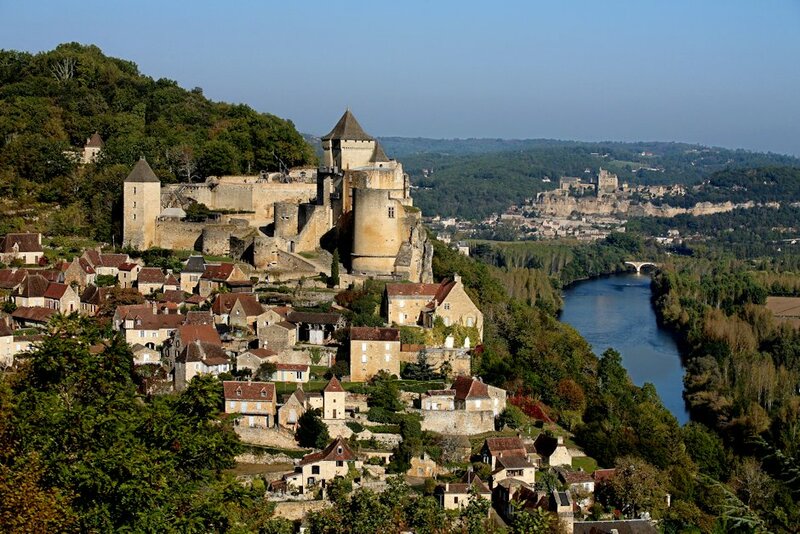 The castle has a rich history but most interesting is that at the time of the Hundred Years’ War, the fortress at Beynac was in French hands as the Dordogne was the border between France and England. From here we drove round the windy roads to La Roque Gageac, a very picturesque village, where we took a traditional river boat on a slow meander down the Dordogne river and took in such sites as the the Château de Castelnaud, a castle that was held by the English during the Hundred Years’ War and the the Castle of La Malartrie which overlooks the beautiful village of La Roque Gageac. After a spot of lunch we headed off again down the road to Domme, which retains part of its original fortified walls and the gateways into the town. We visited the grottes under the main square, which were used in the past to shelter the town’s inhabitants during the Hundred Years’ War, and then moseyed around the boutiques and quaint shops before heading off on our last part of the journey leading us to Château de la Treyne. Driving across the bridge the sun was setting perfectly behind the imposing castle nestled on the cliff; tonight our home was to be another castle of the Dordogne stepped in history but modernized to form a very unusual boutique hotel. 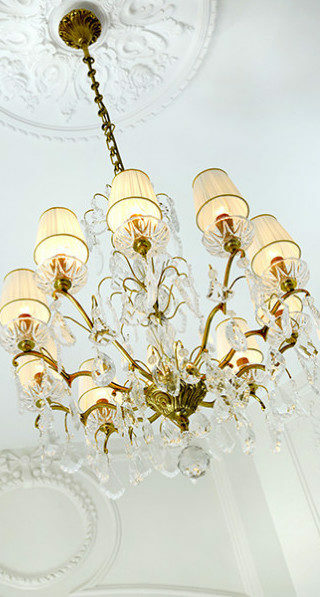 Château de la Treyne, which dates back to the 14th Century, is a residence famous for refined taste and discreet luxury. 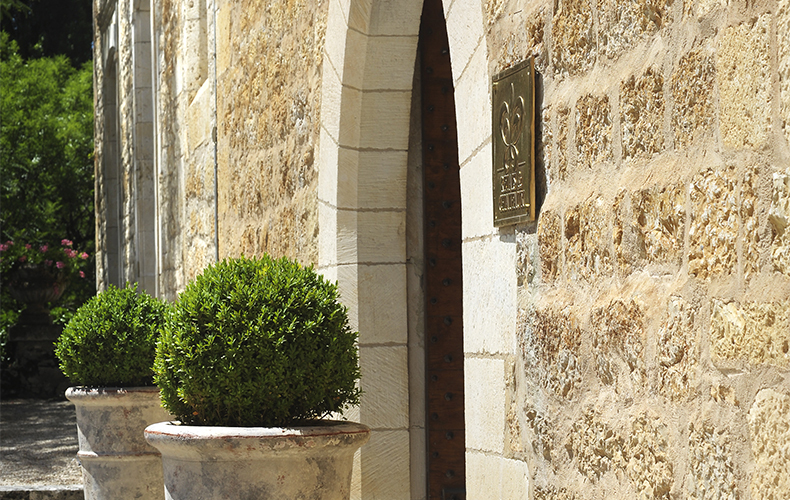 Situated on a listed site, which benefits from an exceptional location overlooking the Dordogne River, the château is surrounded by a French garden, lined by century-old cedars and a large park with rare species of trees. As we drove up the driveway to park in the stoned parking area the porter came out to greet us and take our bags, we looked up at the impressive ramparts as we made our way to reception to check-in. 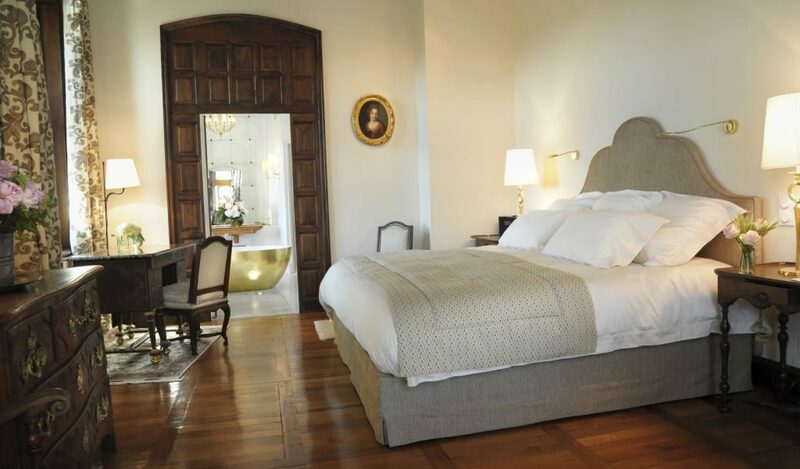 At check-in the charming Stephanie Gombert, Co-Owner of the castle, greeted us, and then showed us to our impressive Master Suite “La Favorite”. Located on the first floor overlooking the Dordogne River, “La Favorite” is a large south-facing room surmounted by magnificent Gothic woodwork that adorns the entire ceiling. Period Louis XIV furniture garnishes the room and its large white bathroom turns the room gold every evening from the rays of the setting sun. 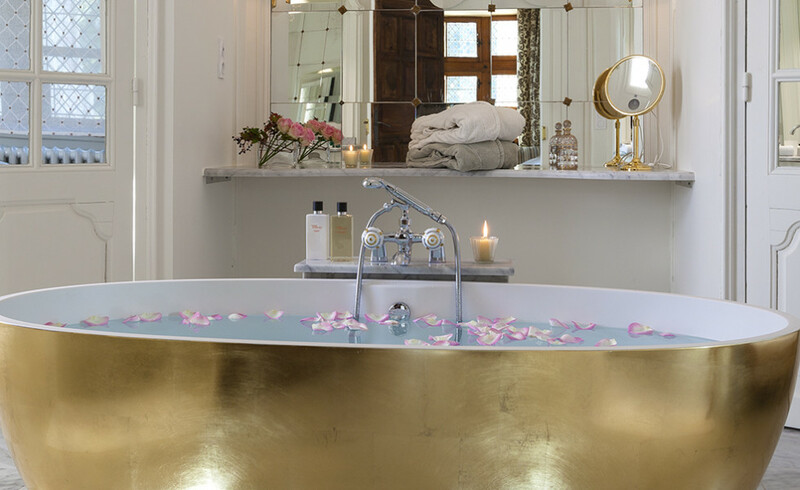 There is also a dressing room and ensuite suite that has an extra bed for one person. 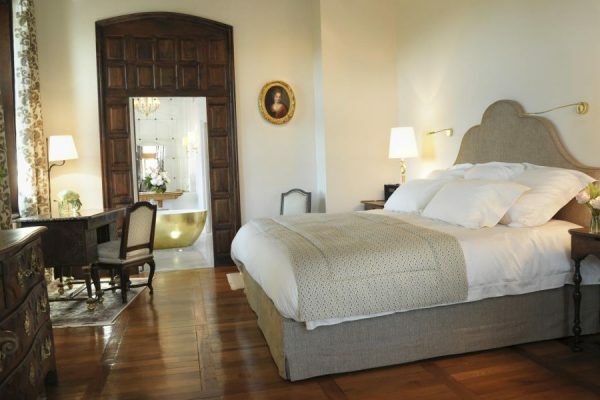 The suite is also equipped with the best technological equipment: electrical shutters to ensure acoustic comfort while preserving the aesthetics of the mullioned windows, which are classified historical heritage, electrically operated curtains, three way air conditioning to ensure the exact desired temperature and electric under floor heating in the bathroom. The best of both worlds: sleeping in history but with all the mod cons! 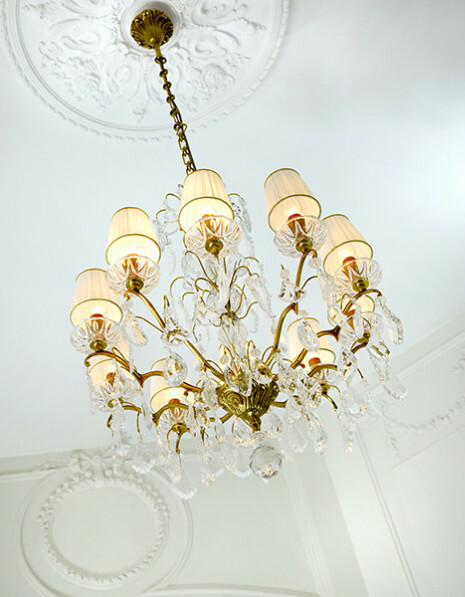 After unpacking and taking a dip in the beautiful clawed foot roll top bath with over hanging chandelier Eisbär and I headed down to Salon Louis XIII, the restaurant located within the castle. This dining room is delightful in its majestic old world style, two stories high with a huge fireplace with carved wooden surround that extends from floor to ceiling, tall French windows and elegant furnishing, a truly impressive setting for what would be a truly grand dinner! After dinner Eisbär and I made our way to the cozy lounge bar where Jean Phillip made our BBB review essential: the Espresso Martini! After much discussion with the lovely bar staff we made our way to our room and the lush comfort of our King size bed and cotton sheets. After a blissfully quiet nights’ sleep (thanks to the electrical shutters) and an invigorating shower we made our way down to breakfast, which is served in Salon Louis XIII. After lashings of coffee and breakfast goodies including scrambled eggs, bacon and gluten free toast Eisbär and I and I were ready for another day of exploring! 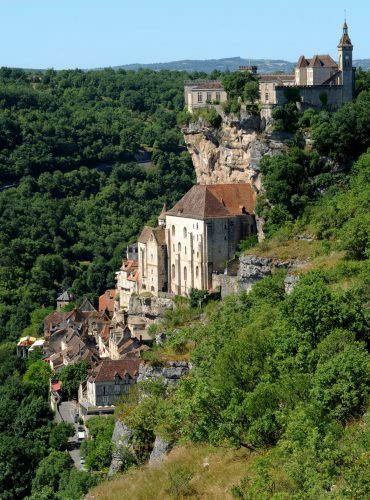 Our first stop was Rocamadour, a village built into the cliffside on successive levels, 120 metres in length; it clings high above a canyon through which flows the Alzou, its houses, roofs and churches seem to be part of the rock itself. Rocamadour is an important pilgrimage destination, and has been for 1000 years. Built on the site of a shrine to a Madonna, the shrine became famous for its healing powers, and soon became a stop on the pilgrimage path to Santiago de Campostela. The village is essentially just one paved street, lined with medieval houses, several of which are notable and many of which are impressive, and accessed through stone fortified gateways – the Porte du Figuier and the Porte Salmon which the two main gateways. Eisbär and I, whether feeling energetic after our Château de la Treyne breakfast or mad through sunstroke decided to tackle “The Grand Escalier” (216 steps, once climbed by pilgrims on their knees) which leads from the village to the sanctuaries above, and L’Hospitalet at the very top with its views of the old town. I must admit on the second part of the ascent to L’Hospitalet I regretted by originally enthusiastic “I want to see the top” decision, but once we actually made it (after much mumbling and groaning) the view was totally worth it! Getting back in the car I was thankful for the rest while we made our way to the next stop, Gouffre De Padirac, a cave located near Gramat. The first tourists visited the cave on 1 November 1898; however, the site was officially opened for tourism on 10 April 1899 by Georges Leygues, the 87th prime minister of France. Today, although the cave system is made up of more than 40 km of galleries, only 2 km have been opened for tourism. Visitors can access the underground cave system by descending 75 m by lift or stairs (we took the lift option as much as we could), and then explore the cave system on foot and by boat. The caves were very impressive; it felt like we were actually IN Jurassic Park! Last on our tour was the medieval town of Sarlat-la-Canéda where modern history has somewhat largely passed it by, this quaint town remains preserved and one of the towns most representative of 14th century France. Eisbär and I and I got lost down the winding medieval passages finding hidden gems around every corner, we had some wine while basking in the sun in the main square overlooking Sarlat Cathedral, bought gifts for loved ones and bought some macrons to munch on the way back. After an eventful day we headed back to Château de la Treyne just in time to have a wander around the formal gardens at sunset; enchanted we made our way back to the castle lite by the warm spotlights of the gravel forecourt. After a second dinner at Salon Louis XIII, which was just as impressive as the night before, we sojourned to the lounge and reminisced about our mini break in the Dordogne while warming ourselves in front of the grand fireplace. After a magical nights’ sleep and another hearty breakfast it was time to make the grand journey from the Dordogne to London, by car! We said goodbye to Stephanie and her wonderful staff and then begrudging left Château de la Treyne. As we drove across the bridge we took one last look back, Eisbär and I looked at each other and smiled, such happy memories, more of a home than a hotel, we both knew we would be back. 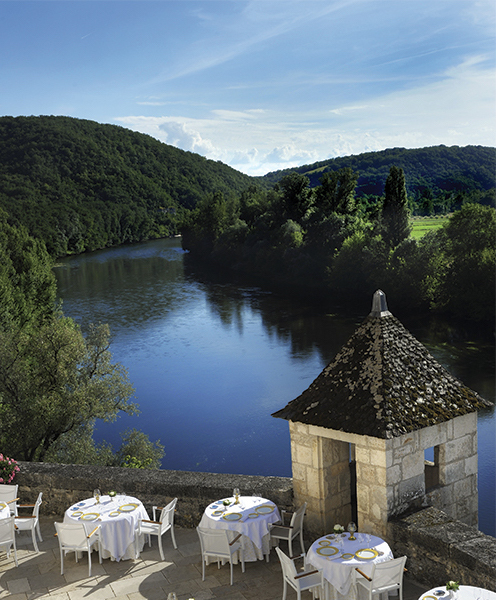 Château de la Treyne is truly a hidden gem of the Dordogne region; set in a region so full of history and the hotel itself a historical landmark it is the perfect place to explore from, or to just kick back, relax, unwind and be enchanted by the surroundings, architecture and the attentive and friendly staff. 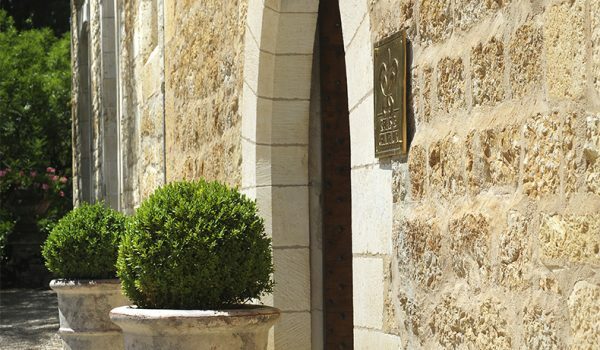 Château de la Treyne is more than just a hotel it felt like a home, a house full of memories and I am glad some of those memoires are mine.